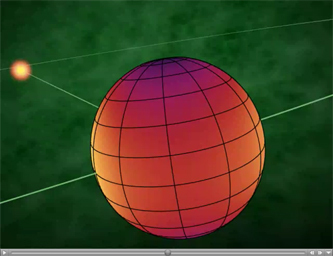 This animation shows the first-ever map of the surface of an exoplanet, or a planet beyond our solar system. 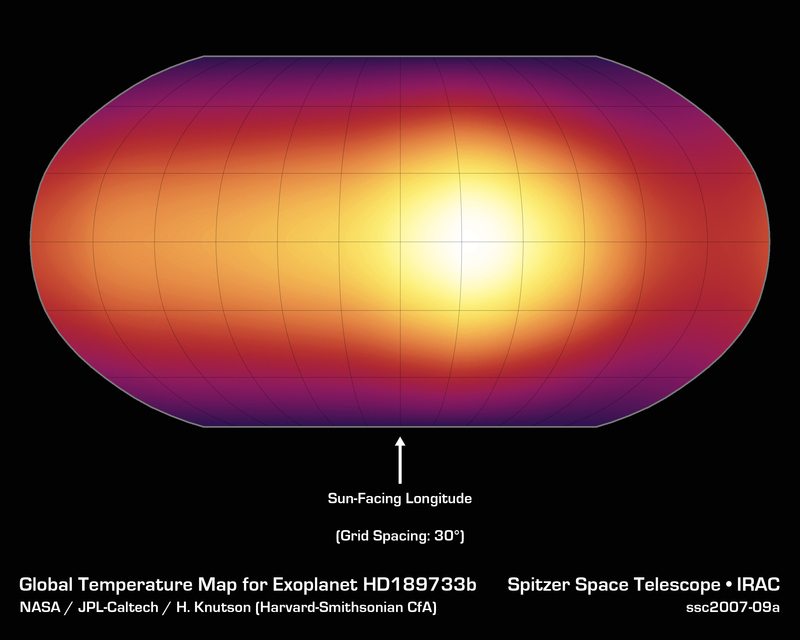 The map, which shows temperature variations across the cloudy tops of a gas giant called HD 189733b, is made up of infrared data taken by NASA's Spitzer Space Telescope. Hotter temperatures are represented in brighter colors. These data were collected by Spitzer's infrared array camera as the planet, a so-called transiting planet, passed in front of its star, then swung around and disappeared behind it (see PIA09377 ). By observing the planet for half of its 2.2-day long orbit, Spitzer was able to measure the infrared light, or heat, coming from its entire surface. 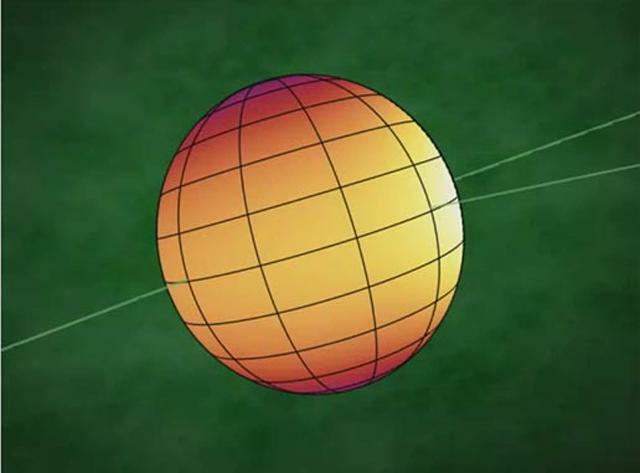 The infrared measurements, about a quarter of a million individual data points, were then assembled by scientists into pole-to-pole strips, and ultimately into the complete map shown here.